According to John Muir Health, an integrated healthcare system, around 50% patients suffering from severe aortic stenosis (AS) will not survive without an aortic valve replacement (AVR) for over two years after the onset of the symptoms. The need and demand for transcatheter aortic valve replacement (TAVR) in developed countries in the U.S. and Europe are fueling the growth of this market. TAVR is a recent development in the field of surgery and medical science. This technology is includes a minimally invasive procedure and is used to replace a constricted aortic valve. The procedure that deploys TAVR is also referred to as TAVI or aortic valve implantation. Aortic valve replacement generally requires open heart surgery. Hence, it is not suitable for patients who are at an increased risk for the process or too weak to opt for surgery. As a result of this, the demand for heart valve surgical procedures in the market is limited. WHO states that the aging of the world’s population in both developed and developing economies is an indicator that global health is improving. WHO forecasts that the world’s population of people of 60 years and older has doubled since 1980, and is going to cross the 2-billion mark by 2050. The increasing global aging population is one of the primary forces attributed to the growth of the TAVR market. Another important factor that is estimated to propel the TAVR market is the growing obese population. This trend will be witnessed more in the U.S. and other developed regions such as Europe and Japan. According to CDC, more than one-third of the adults in the United States are obese. The estimated annual medical cost of obesity in the United States was US$147 billion in 2008, and these costs were US$1,429 higher compared to those of normal weight. Some other factors that will fuel the growth of the global TAVR market are rising global healthcare expense and growing prevalence of patients not qualified for aortic stenosis surgery. 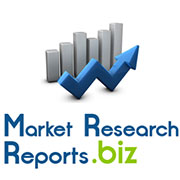 According to market analysts, the global transcatheter aortic valves market is worth billions and will demonstrate a promising growth of over 25% in the coming few years. Although the above TAVR market drivers will contribute to its growth, factors such as regulatory issues, associated high risks, and cost of TAVR devices will suppress the market. Some of the pioneers in the global TAVR market are Medtronic and Edwards Lifesciences. These two companies in the TAVR market operate in a highly dynamic industry scenario towards acquiring maximum share of the TAVR market.